In the last century, R&D in robotics had been mainly concentrated on industrial robot and its related applications. In the 21th century R&D activities in robotics have been continuously high in Japan for the first decade. Representatively, METI, Japanese Ministry of Economy, Trade and Industry, successively launched R&D projects in robot area. Topics of the projects cover from fundamental technology to industrial/commercial applications. Recently topics are rather shifted to service application including home usage. It is very interesting fact that such diversity in R&D is specific in robotics. This may be contributed to unique and different feature of robotics in comparison with other engineering fields. In short robotics is integration of all the fields from both science and engineering. To construct a robot we need knowledge of mathematics, physics, electronics, control theory, computer science and more. To utilize robots we directly need knowledge of objective application field. Thus essence of robotics is to integrate all the science and technology to produce physical/mechanical systems to be utilized in factory, business and home. Since 21th century application field of robotics largely shifted to daily and home-oriented topics. Robotics is required to solve such human-oriented issues and produce novel machines, equipments, systems utilized for them. Robotics will become a social technology in addition to the industrial technology in the future. Shigeoki Hirai is Deputy-Director and Chief Strategist of the Future Robotics Technology Center at the Chiba Institute of Technology. He received his B.S., M.S. 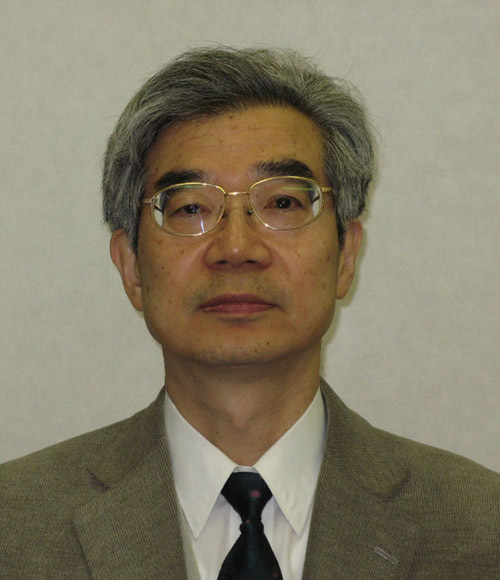 and Ph.D. in physical engineering from Tokyo Institute of Technology in 1973, 1975, and 1978 respectively. From 1978 to 2009, he had been with Electro technical Laboratory, MITI. Electro technical Laboratory and other research institutions under MITI were integrated into National Institute of Advanced Industrial Science and Technology, AIST, Japan, in 2001, where he was inaugurated as Deputy-Director of Intelligent Systems Research Institute and Director in 2004. From April 2009, he has been with Chiba Institute of Technology and currently is Deputy-Director and Chief Strategist of the Future Robotics Technology Center. He is a member of IEEE Robotics and Automation Society, Robotics Society of Japan, Japan Association of Mechanical Engineers, Society of Instrument and Control Engineers.